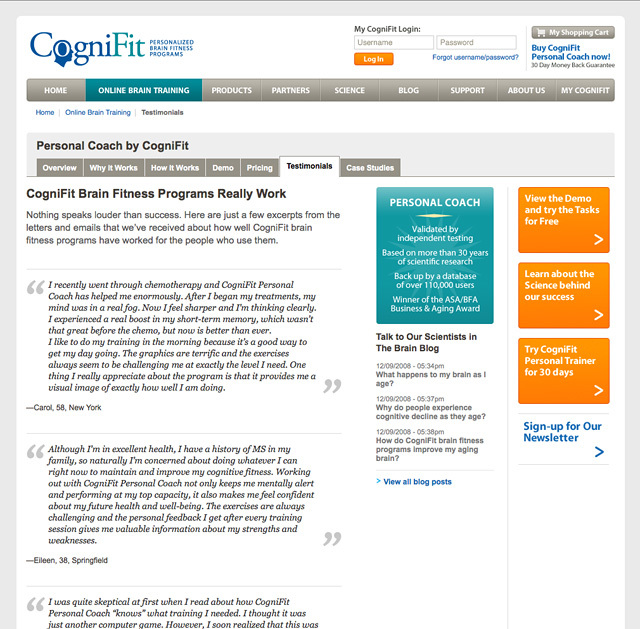 Cognifit is an Israeli company that developed one of the first and most widely-used brain fitness software programs. They needed a site that would compete in a burgeoning niche market and introduce North America to their new online program. We collaborated closely with the client through the planning phases, market research, and product branding. The insight we gained informed our choices for site structure and design. 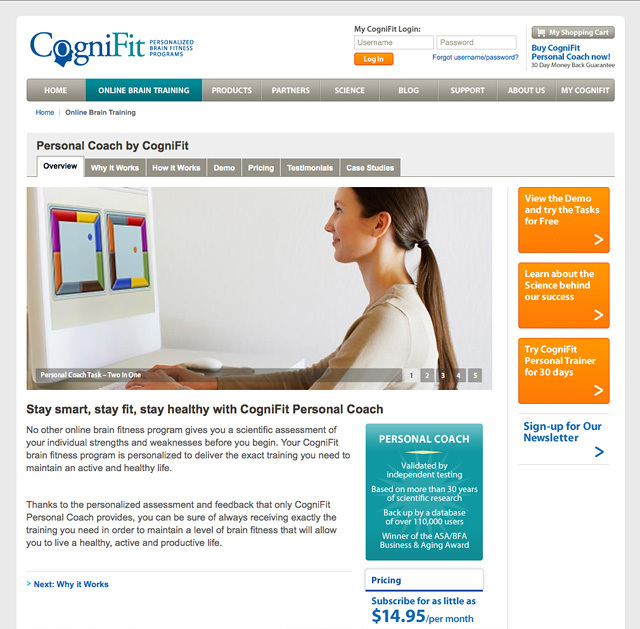 Working with their developers, we created a personalized page for users to track their progress. 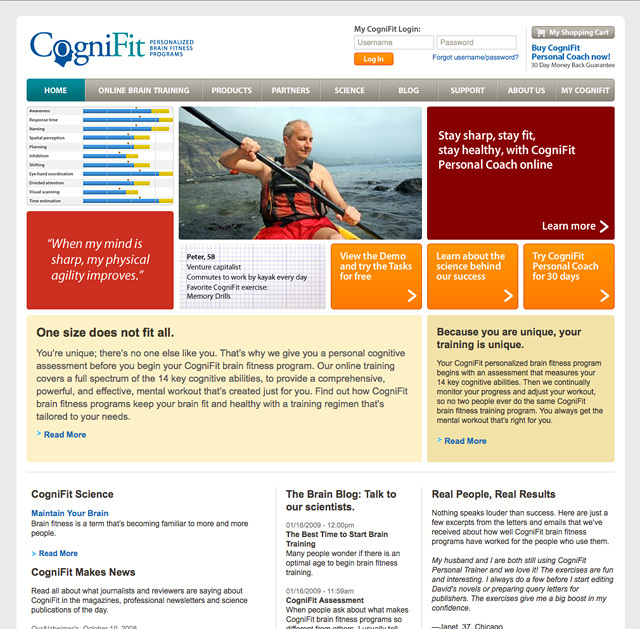 Cognifit launched their marketing site with a robust shopping cart and subscription system. 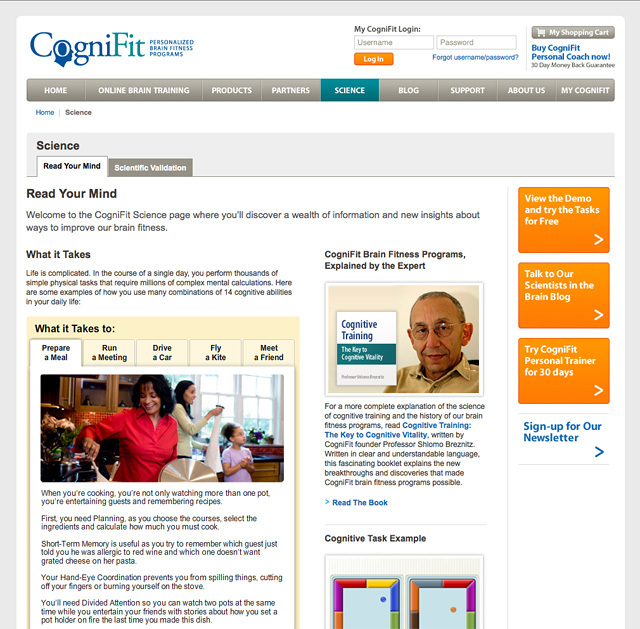 Those interested in brain health are now able to easily learn more about the product and sign up instantly.